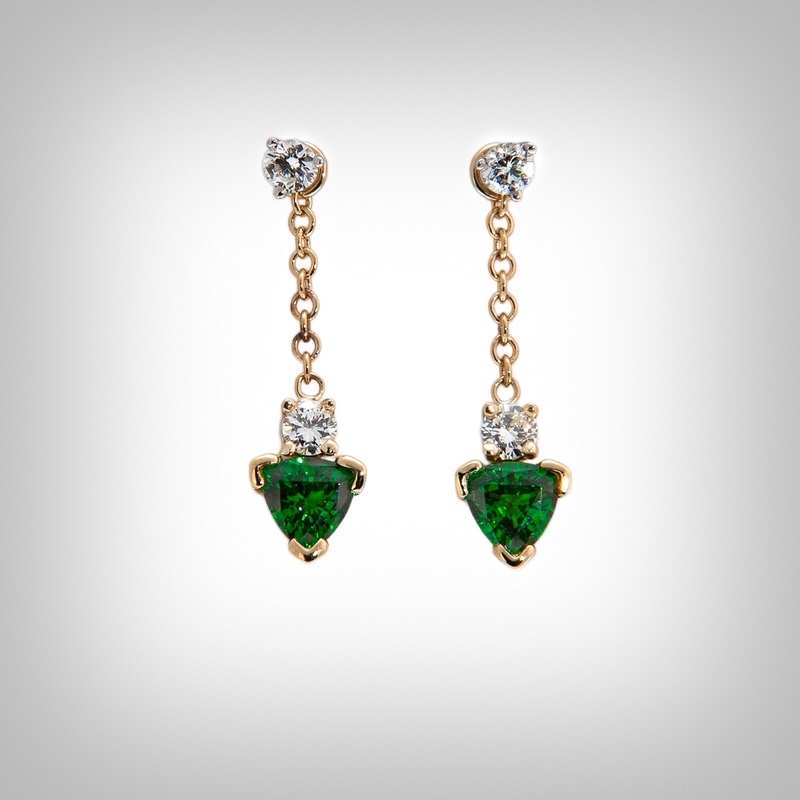 These Drop design earrings created by Howard Lebow have two Trilliant shaped Tsavorite Garnets and diamonds. The Drop earrings are interchangeable at the top. Pearls and other Gemstones can be interchanged with the diamonds studs. Work with H. Lebow Diamond Brokers to design your custom jewelry. Howard Lebow provides personal service, competitive pricing, and meticulous attention to detail. Call 513 515 3531 to get started.